I recently had the pleasure of going to the latest supper club at The Vegetarian Cookery School in Bath. 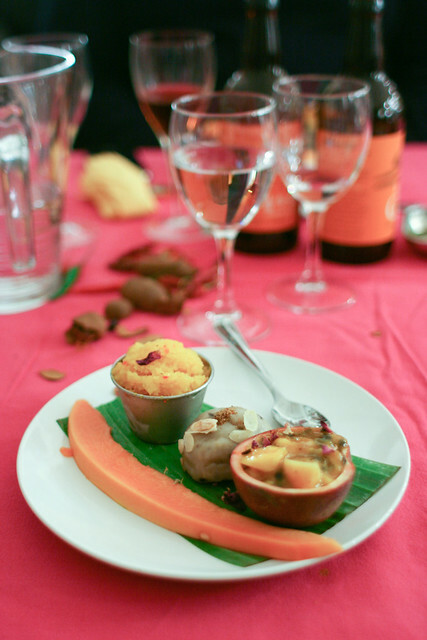 The theme: Indian Thali, hosted and prepared by the VCS’s awesome chef divas, Rachel Demuth, Jo Ingleby and Helen Lawrence. It’s been ages since I’ve been out for Indian, and this was some of the tastiest, freshest and most interesting Indian food I’ve had in a long time: masala dosa, sambar, chutney, homemade paneer, peshwari naan and some new discoveries such as masala vada and khadi. (Rachel Demuth’s blog has a full recap of the evening with some amazing recipes). One of the meal’s highlights came at the very end, and made me feel super glad I saved room to enjoy dessert: mango chilli sorbet. Tart, refreshing and with just a touch of heat from the chilli, this type of dessert is my favourite way to end a meal. I’ve tried making mango sorbet at home but have never managed to make it taste like the mango sorbets and ice creams you get in Indian restaurants. So I picked Helen’s brain after the supper club, and she told me her secret: Kesar mangos! This yellowish variety of mango is popular in India and is what gives the mango-sorbet-of-my-dreams its characteristic flavour. Fresh Kesar mangos are not easy to find in the UK, but tinned Kesar mangos are. And so, Helen’s parting gift to me was a big ol’ tin of pureed Kesar Mangos, offered on the condition that I make mango sorbet at home and write about it. So here I am. The tinned Kesar mangos did not disappoint. They’re already sweetened (ingredients: mango, sugar, citric acid – nothing scary), so all I needed to do was blitz it in the Vitamix with some lime juice and ginger juice, mix in a finely diced red chilli, then churn in the ice cream maker. Pretty awesome. The result was everything I hoped for. 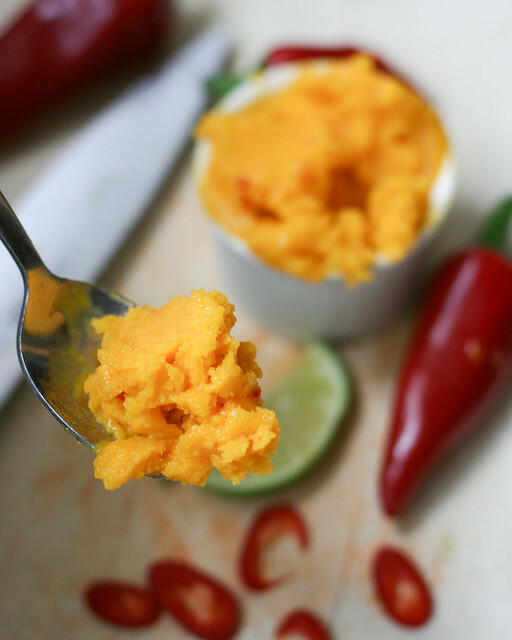 Arguably, I could have chopped my chillies a tad finer as they were detectable as “bits” in the sorbet, but this effect sort of grew on me – I liked the texture, and the sensation, like little pockets of heat encased in frozen mango awesomeness. 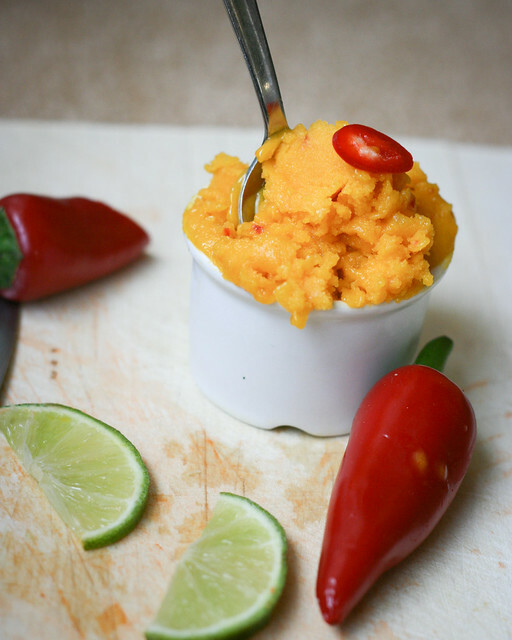 A refreshing sorbet, recipe courtesy of Helen Lawrence from The Vegetarian Cookery School in Bath. Kesar mangoes are the best in this, but if you can’t find fresh ones, use tinned (omit the honey and sugar if the tinned mangoes are sweetened). To make ginger juice, grate fresh ginger and then use your hands to squeeze squeeze out the juice. 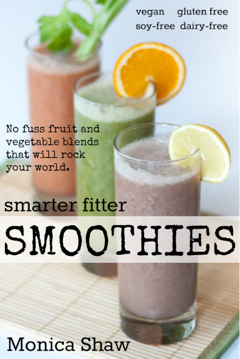 Place the mangoes, ginger juice, chilli, lime juice and honey into a blender (I use a Froothie Optimum 9200) and puree until absolutely smooth. Add the sugar and buzz again until mixed. Transfer the puree into an ice cream maker and churn according to the manufacturers instructions. Freeze. When ready to eat, take the sorbet out of the freezer about ten minutes or so before you’re ready to eat it – this will make it much easier to scoop! 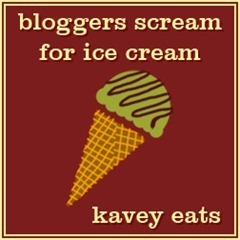 I am submitting this recipe to the dairy-free Bloggers Scream For Ice Cream challenge hosted by Kavey Eats. hi, looks great, in the summer try it again with fresh alphonso mangoes, from India, the taste of them is sublime! Alphonso mangos! I will look for those. My sorbet is almost gone – summer can’t come soon enough! Alphonso mangoes are considered the king of mangoes but to my mind, kesar are right up there alongside them. Either of these two varieties will make a killer sorbet, for sure!